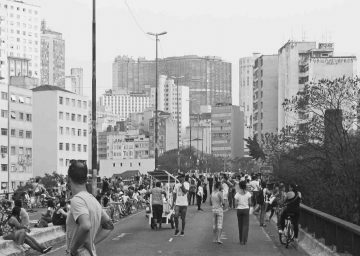 Access for AllJune 13 - September 8, 2019 | Opening: June 12, 2019, 7 P.M.
With more than twenty million inhabitants in its Metropolitan area, São Paulo is a South American megacity with complex problems like extreme traffic, air pollution, water shortage, and informal settlements. At the same time, the city has invested in architectural infrastructures for decades, creating inclusive places for urban society. The exhibition presents these buildings and projects, showing their possibilities and potentials. 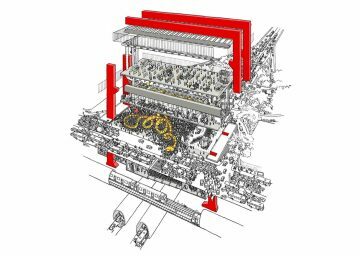 The selected examples have been built from the 1960s to the present, and range from a canopy in a public park to large multifunctional buildings. The most ambitious examples have collective programs that include sports, culture, health and gastronomical facilities. What all the selected projects share is their ability to create places of cooperation far beyond their functionality. 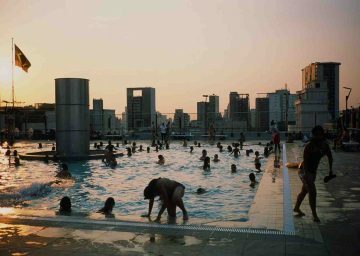 While many cities around the world are still chasing the so-called "Bilbao Effect"—a monofunctional "signature" architectural work by a famous architect that can attract tourism—this exhibition advocates for architectural infrastructure aimed at social sustainability for local citizens while also being public, semi-public, or privately owned and multi-functional. This aspect of São Paulo’s urban growth illustrates how architecture and infrastructure can contribute not only to improving the city's urban development, but also to stimulating citizens' living conditions.